Kegco's KOM15BSR Kombucharator combines high-performance dispensing power with a convenient 15" width that makes it the perfect fit for space-challenged commercial and residential environments. 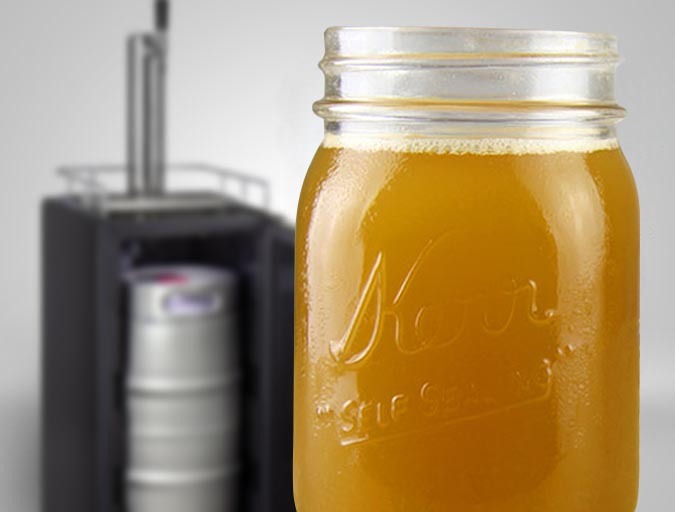 This kombucha keg dispenser is ETL/ETL Sanitation Listed and NSF Compliant to ensure that it meets the necessary safety standards for beverage dispensing appliances. 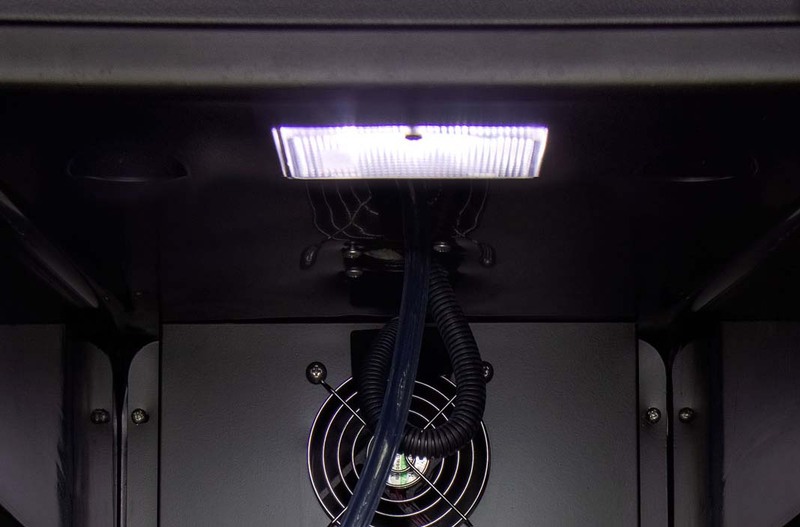 Load kegs and check your beverage connection easily using the cabinet light controlled by the digital display on the door. 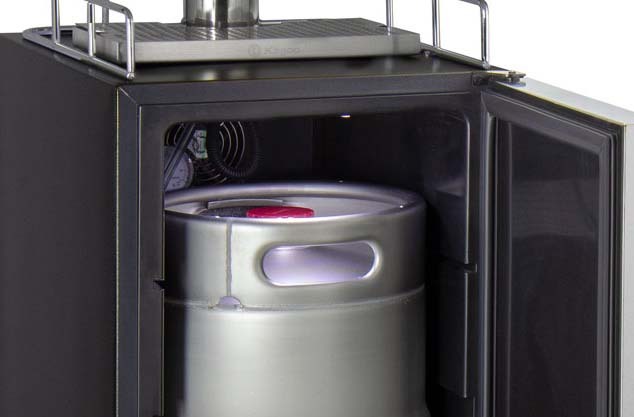 It illuminates the keg storage area with a low heat light that will not adversely affect storage temperature. 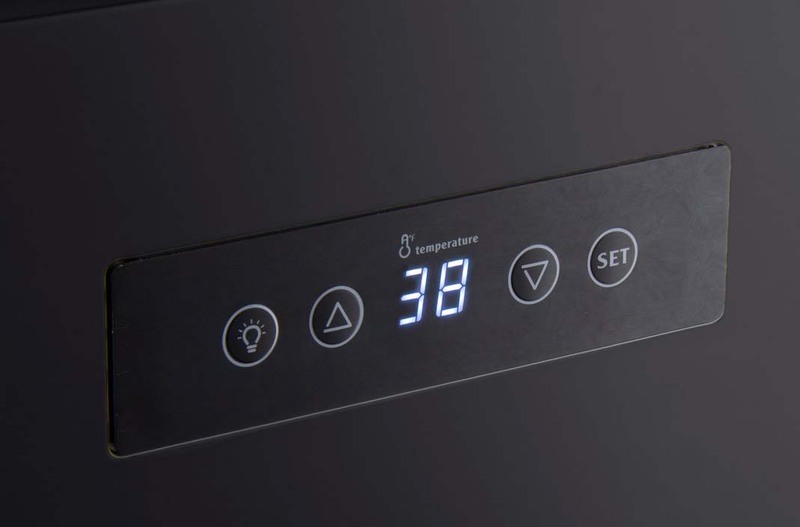 Manipulate your kombucha's climate down to the exact degree desired using the digital control panel on the cabinet door. With the opportunity to shift anywhere from 32 to 65 degrees Fahrenheit, you can serve chilled kombucha or ferment 'buch' for future consumption. Despite its slim, space-saving dimensions, this kombucharator has the capacity to hold a quarter slim keg, 5 gallon Sankey, or 5 gallon Cornelius Pepsi keg. This kit features a 3" diameter polished stainless steel draft tower with stainless steel faucet, a commercial grade double gauge regulator, an empty 5 lb. 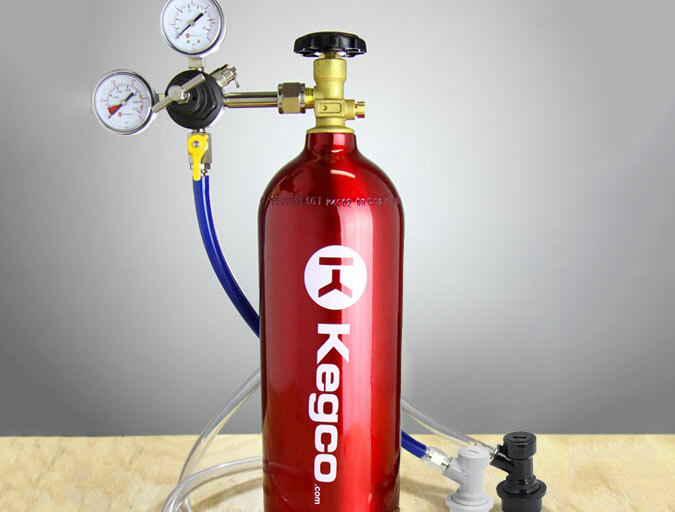 CO2 tank with Electric Red epoxy finish, and ball lock keg couplers. The Kegco KOM15BSR has a notably wide temperature range that can be precisely set between 32 and 65 degrees Fahrenheit. The low end of this temperature range is perfect for serving ice-cold beverages probiotic tea beverages while the higher end is great for storing wine or fermenting beverages.